Finding your next Tucson home is only the beginning of your homeownership journey. Once your offer is accepted, you need to schedule a home inspection. This gives you an opportunity to have a professional come out and investigate your property for potential problems you might not have seen on the initial walk-through. I advise you to be on-site when your home inspector conducts their inspection. Why? Because there are several important questions that you need answers to while they're there. Is That a Big Deal or Just a Minor Problem? 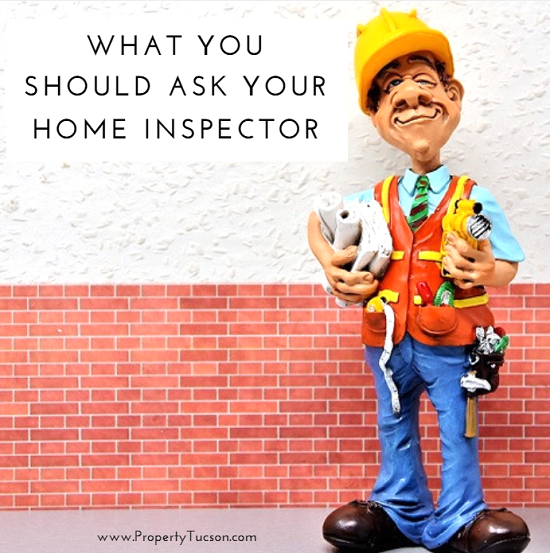 It is perfectly fine for you to accompany a home inspector while they conduct an inspection of your property. However, you don't want to hover. Allow them enough room to do their job. Along the way, they may point out some areas that they see potential issues with. Feel free to ask them to clarify what they mean. Most homes, even newly constructed ones, have some issues. For example, cracks in the foundation could mean something as simple as a normal settling of the house or it could indicate a much larger issue underneath. Sometimes, these are minor and may not need any follow-up on your part. Ask your home inspector which problems are a big deal and which ones are just minor issues. Should I be Concerned About That Water Spot? Did you see anything on your initial walkthrough of the property that gave you cause for concern? Go ahead and tell the home inspector about them up front. Ask them to pay particular attention to these areas. Then, they can give you their feedback on it. Is this your first Tucson home? Then you might never have dealt with an HVAC system or hot water heater, especially if there was a problem. That fell into your landlord's hands. If you have any questions about the thermostat, appliances, water heater, boiler, etc., feel free to ask your home inspector. Believe me when I say that they're used to explaining these things to home buyers. Don't feel embarrassed. What Do You Think are the Issues Problems With this House? Finally, and probably most importantly, ask your home inspector for their opinion about what particular issues stand out the most to them. Do they think some areas need further investigation? If so, you might want to ask a specialist (roofer, plumber, electrician, etc to come out and take a look at the problem right away. It will be worth the extra inspection fees you must pay to either relieve your mind of any potential problems or let you know exactly what you're in for. Time's ticking away while you're in escrow. 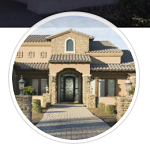 You need to complete the inspection on your Tucson home as soon as possible. If the home inspector raises concerns about things that you need to have fixed right away, you'll need to address them as soon as possible. Sometimes, this means a price negotiation to cover the expense. Other times, it means walking away from the sale altogether. If you have any questions, please contact me.